OMG Posters! » Archive "Before The Landlord Finds Us" Tiny Showcase Art Print by Esther Watson - OMG Posters! There are still some copies of this week’s cool Tiny Showcase print available. 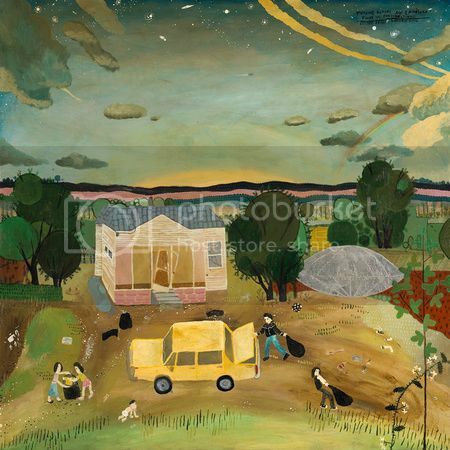 Esther Watson’s “Before The Landlord Finds Us” is a 6″ x 6″ giclee, has an edition of 100, and is $20. Visit TinyShowcase.com.